at the Chicago Printer’s Row 34th Annual Lit Fest celebration. 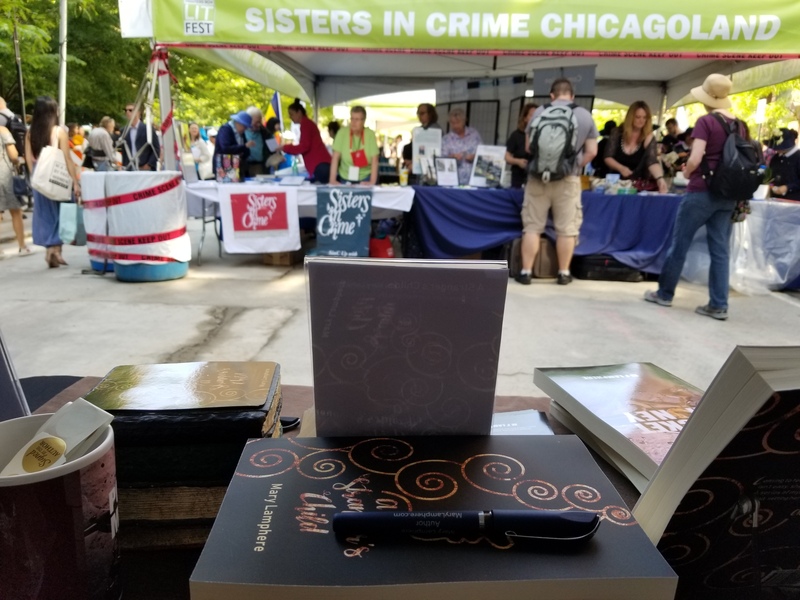 For the second year in a row, I was able to set up a table and sell my books, A Stranger’s Child and Pocket Money, under the Chicago Writers’ Association tent. We set up Saturday from 3-6 pm. The rain held off and the temps were comfortably cool for a mid-June afternoon. The Saturday crowd seemed more fluid…more people, but not necessarily more conversations or sales. There was a larger crowd in attendance this time around–last year we closed the fest, 2-6 pm on Sunday, and it was excessively windy and brutally hot. Last year may have offered less lookers, but definitely more long-talkers, lol. Last year I was harassed by a non-smoker for suggesting she help herself to my swag matches! True story, read it here. I sold three books. Not a lot, but hopefully some of the drawing entrants and pen grabbers will look me up at home and order through Amazon. It was a pleasant afternoon. 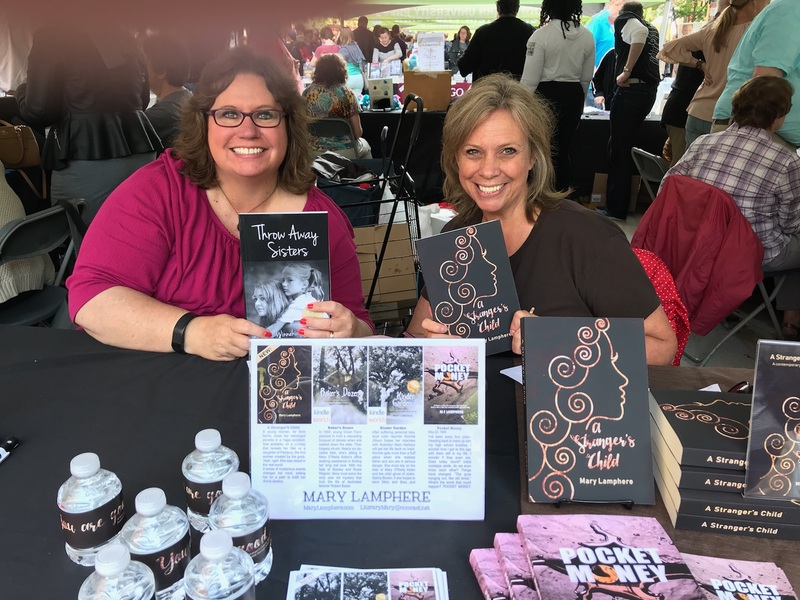 My table mate, YA author Debbie Winnekins Deutsch, and I made up a game of bingo to help pass any down time. There really wasn’t much down time, but we’d interrupt a conversation to shout, “TUBE TOP!” or “SLEEVE TATTOO!” and cross off the square on our boards. 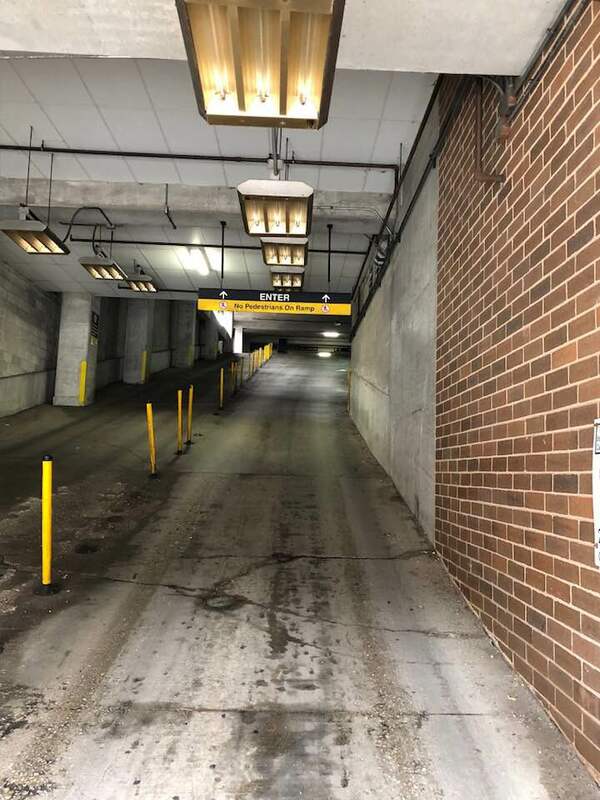 You see A LOT of interesting things in downtown Chicago in the summer…we’re already collecting ideas for next year’s game. The mythology fans I spoke with got me really excited to finish Book 2 in The Pandoran Legacy! How cool would that be? To sell Book 2 at next year’s Lit Fest? Oh, I am SO GETTING LIT again. 1. Zombies are a blue-collar monster. 2. Olympia Fields is the place to retire to if you love golf. 3. You don’t need the Square because you can manually add the number through the app on the phone! 4. 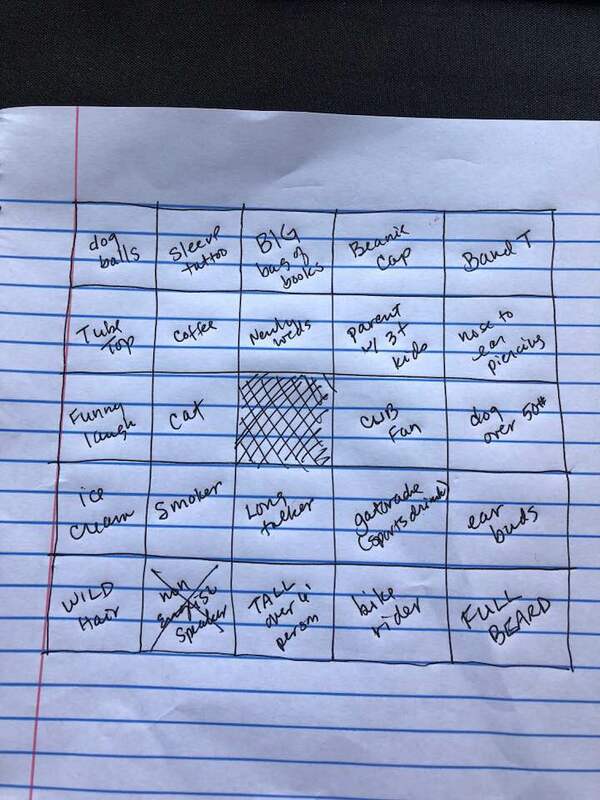 Once you start looking for things to check off your bingo board, you have a hard time not looking for those things…even after you’ve marked them off. 5. 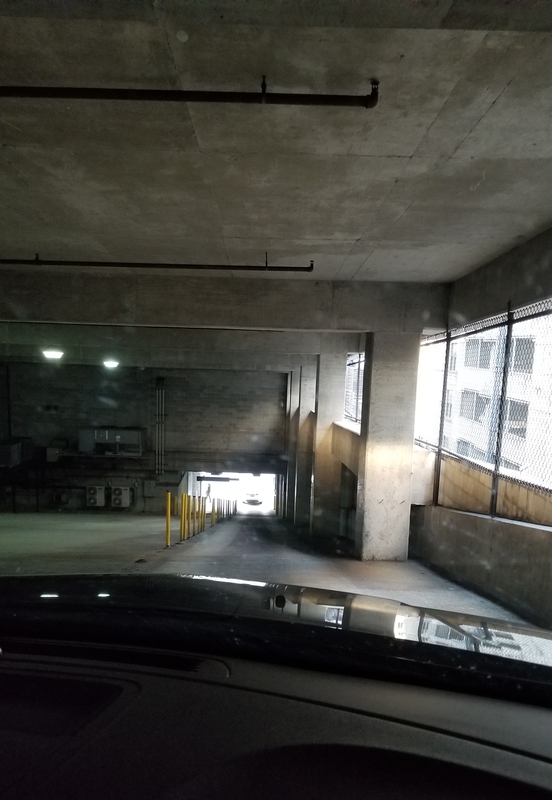 You can survive a 30 degree parking garage ramp in an SUV. Entering and exiting. 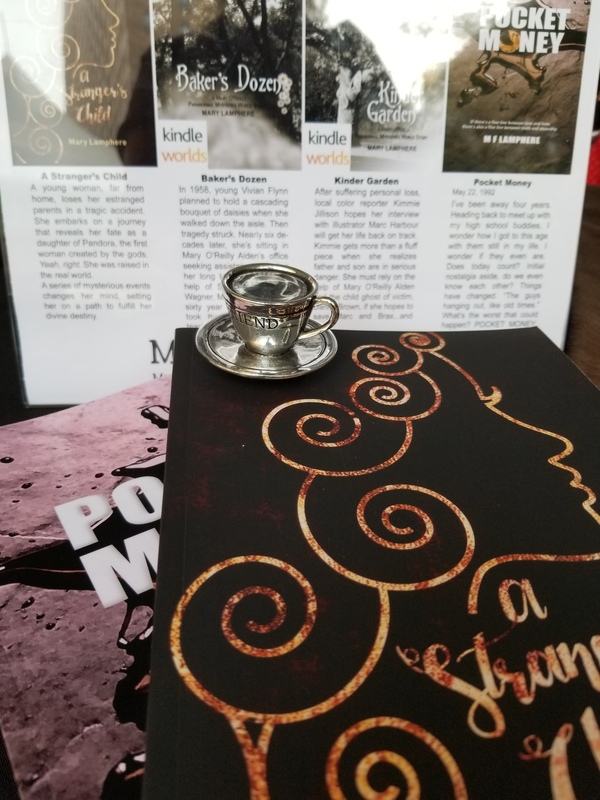 This entry was posted in It's all about me, Writing and tagged A Strangers Child, Chicago Printer's Row Lit Fest, Chicago Writers' Association, Debbie Winnekins Deutsch, Down time BIngo, Kindle give-away, Mary Lamphere, Pocket Money, The Pandoran Legacy. Bookmark the permalink.